Asalaamu alaikum & welcome back Cadettes! Ready for a new and exciting year? 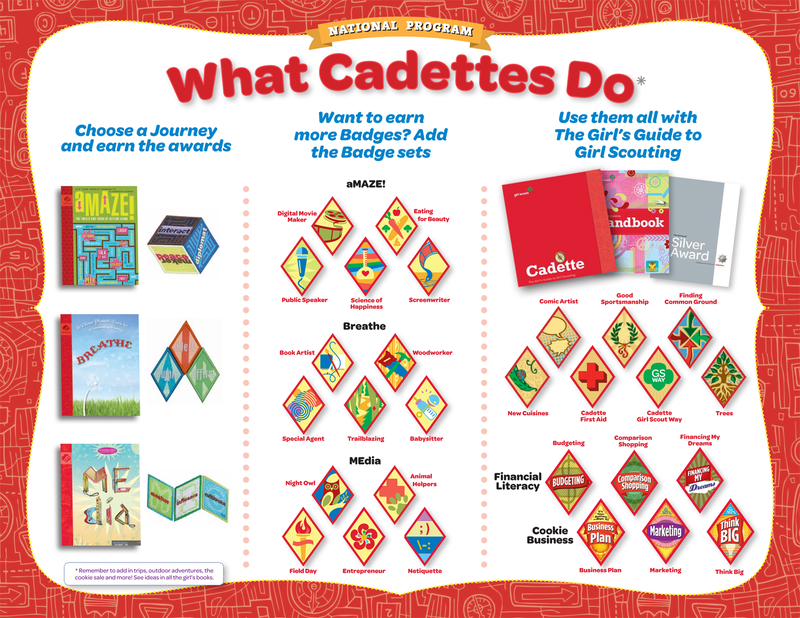 Our troop blog, PGMAGirlScouts.org, is how and where Cadettes will be updated about their events. All trips, meeting updates and Cadette-centered info will always be posted here. We have 30 girls and 60 parents, so the blog is the only place to find Cadette info. This year Cadettes will be outside learning how to be good leaders and good followers, working in groups to achieve goals, as well as working on ways to raise their own money for council and group events. Out of this group we pray to have a couple of Silver Awards done by February of 2016 so that they can be included in the On Our Honor book and program. I have also signed up the Cadettes for Sudden Service events. Only girls who wear their uniforms to meetings will be able to participate. Girls are completely responsible for how their year looks and turns out. Meetings are for presentations and questions, and sometimes we learn a little. This year girls will have to depend on each other to get things done. The girls will deal with accomplishments and failures; being a leader is learning how to bounce back and keep moving. There will always be girls who will not participate in things and that is totally a conscious decision. Your Cadette experience is what you make of it, so make sure you are making your Girl Scout year worthwhile. Come ready to listen, learn, share, and have a great scouting year! Looking back: Reflect on your Cadette accomplishments in the past one, two, or three years you were a Cadette. What you did correct, what didn’t go too well? Looking forward:Create a mixed media video (pictures, voice over, interview) as a group for your NEW Senior Sisters highlighting your work as Cadettes and WHAT you hope to accomplish as Seniors. You have a choice of uploading it to YouTube or burning it on a CD for your fellow Girl Scouts to view. Due before Investiture in December.